Whether their role is functional or aesthetic, door and window ornaments enhance the overall look of a façade. The Suretouch system does not neglect this important architectural element, offering accessories in a beautiful and practical Rocart finish. 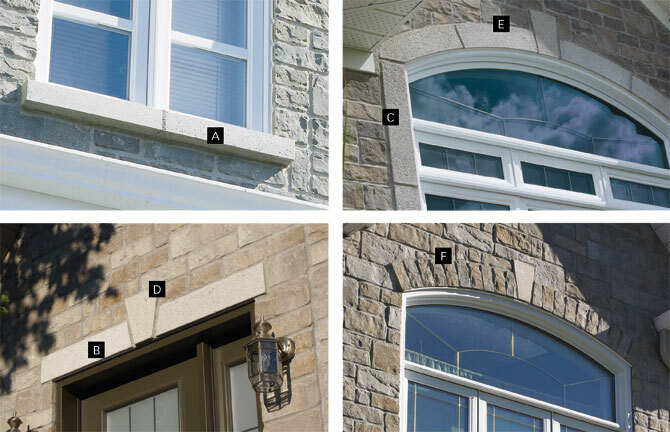 While some accessories (lintels, jambs, keystones) must be Suretouch brand products to ensure that they fit properly into the system, others (sills, arches, œil-de-bœuf, etc.) may be selected and tailor-made to fit. The wide range of creative and aesthetic possibilities make this a truly unique system.